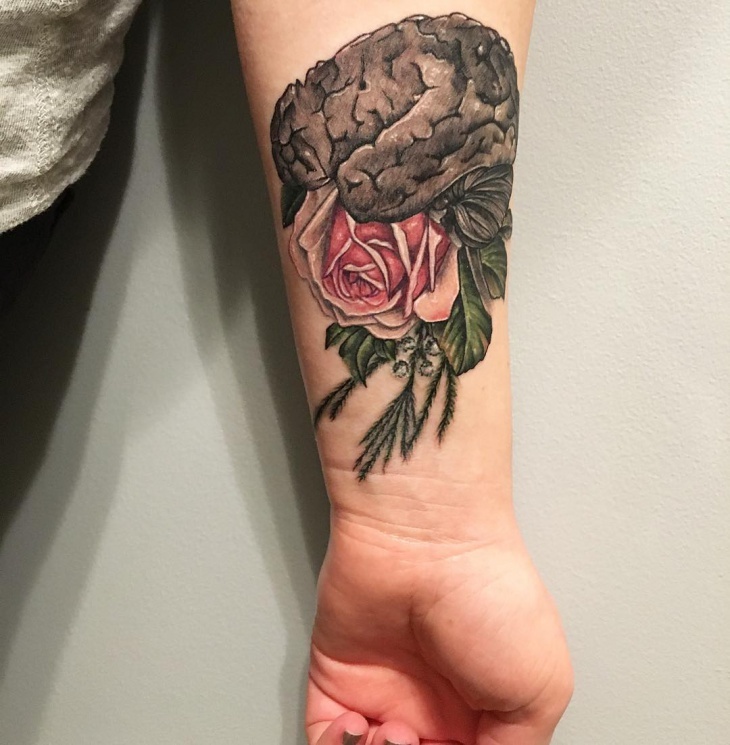 A brain tattoo is one of those arts that are rare and beautiful. The intricate design requires creativity that can only be achieved by an experienced artist. 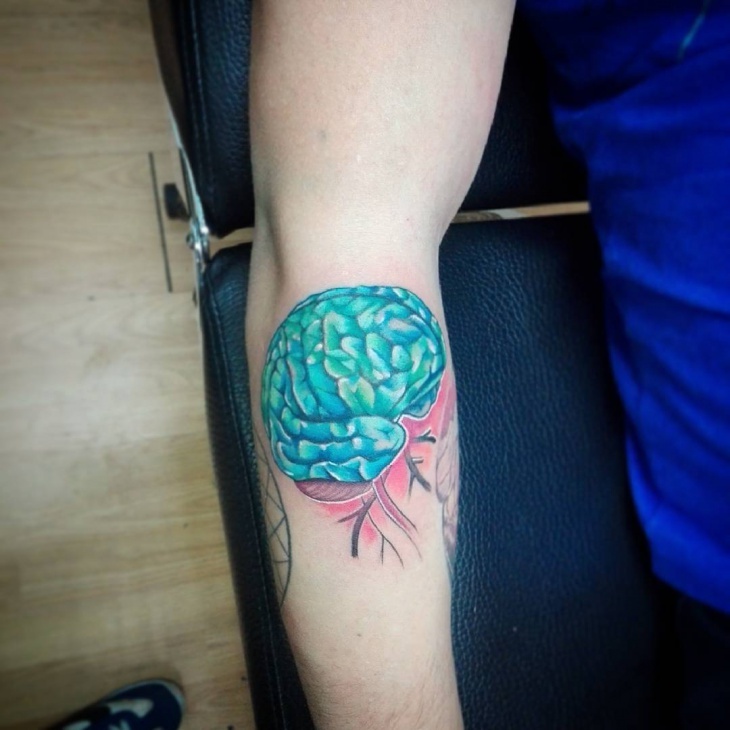 When done correctly, a brain tattoo becomes a symbol of freedom, intelligence and power. A brain design creates meaning that is unique to each person. 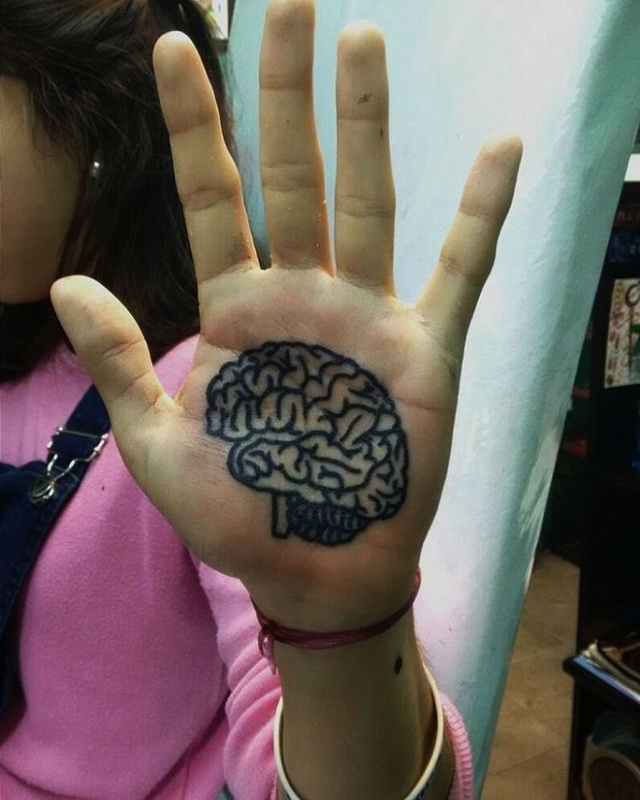 So, get creative and get yourself one of this awesome brain tattoos. The brain is an organ that gives creative ideas. 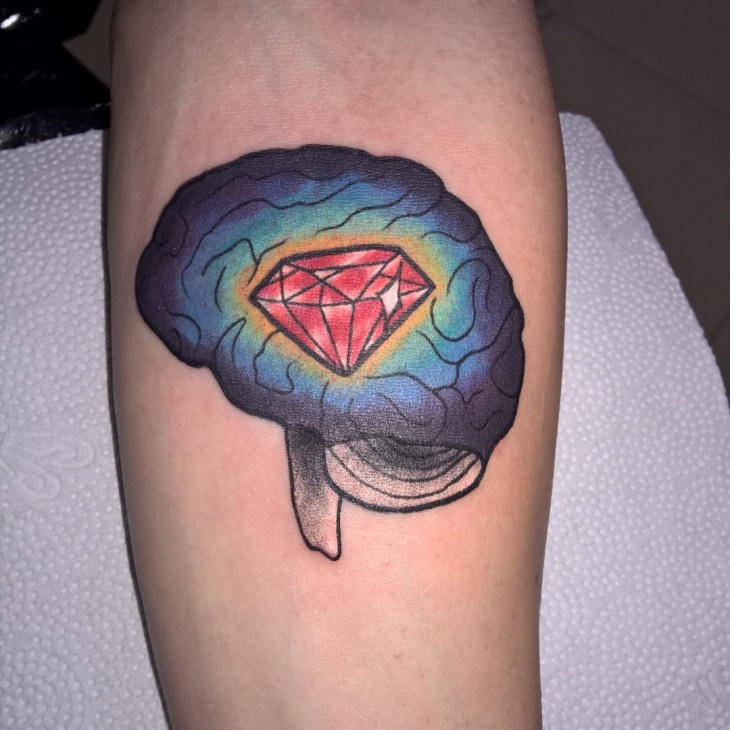 So why not get artistic by opting for a brain tattoo with a diamond. The glittery effect of a diamond makes this design suitable for both male and females. 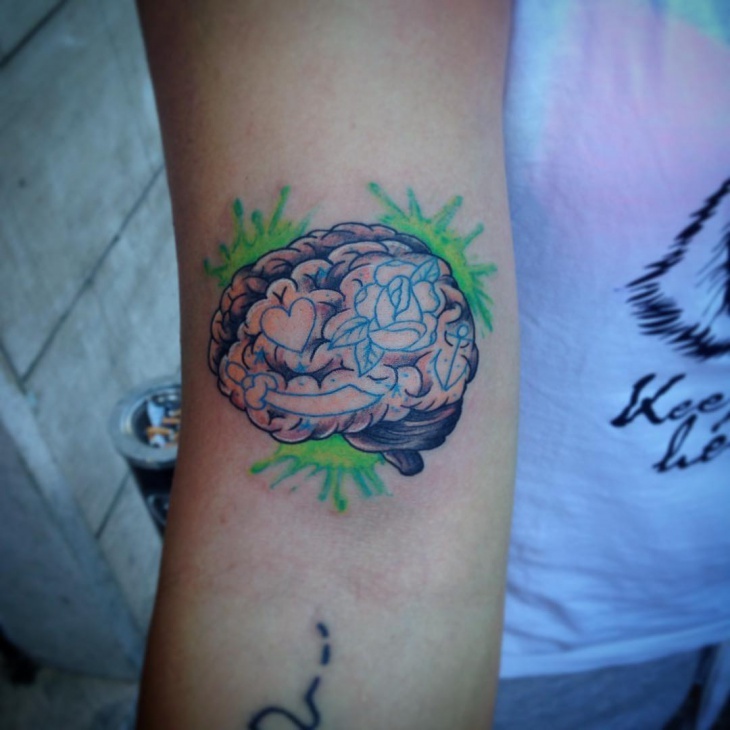 When it comes to a brain tattoo, clear representation will give out a straightforward meaning. 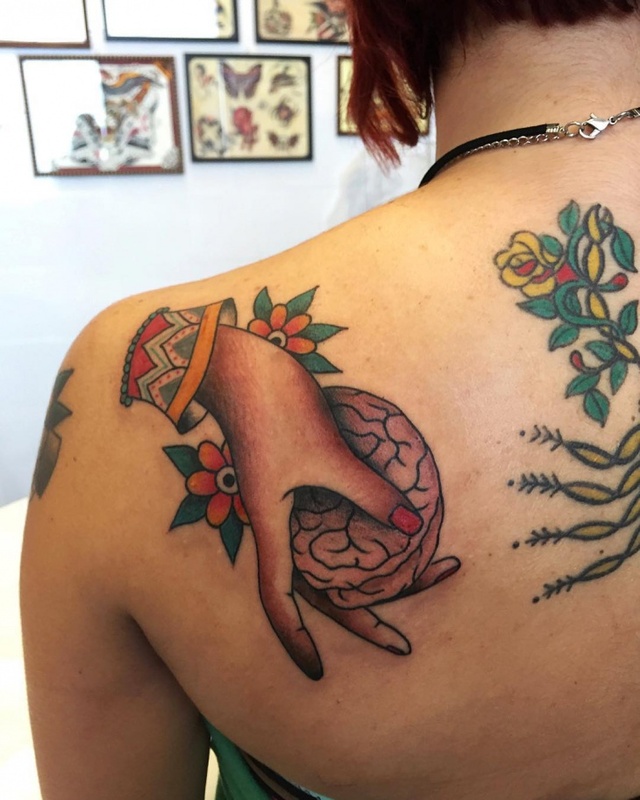 Opt to show the complexity of the brain’s function by getting a classic brain tattoo design on the palm. 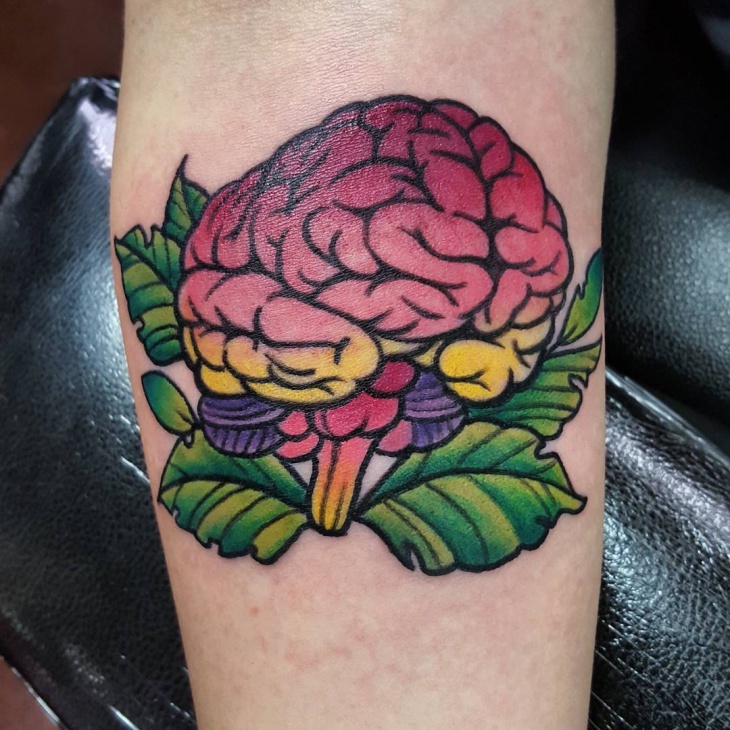 Combine the brains mystery with a zombie effect to give your brain tattoo a unique design. By opting to put it on the wrist, you will be portraying an anatomical design suitable for male individuals of any age. 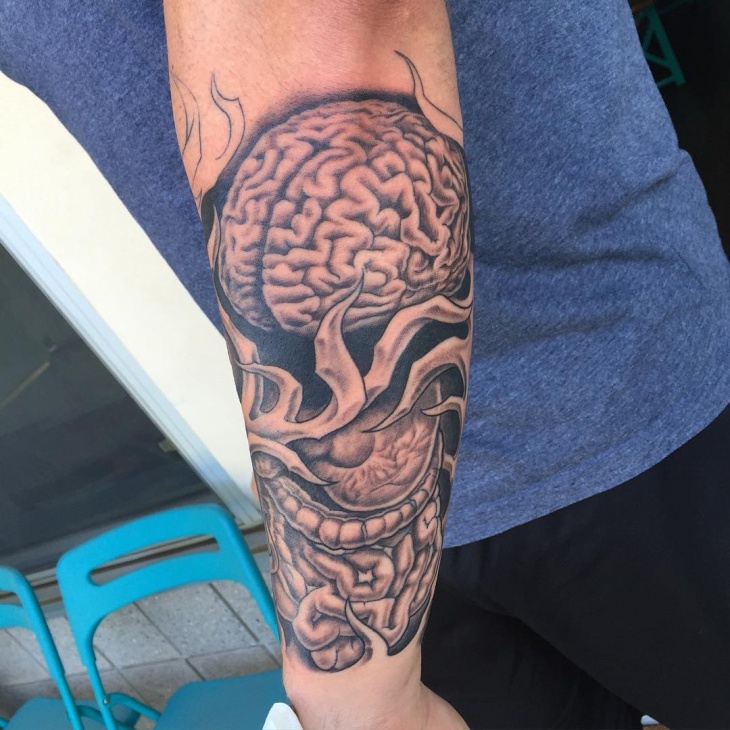 If you’re looking for a simple but rare ink design, then a black brain sleeve tattoo design is what you need. The simplicity of this design describes an intelligent individual who loves life and appreciates art. Women love mystery. 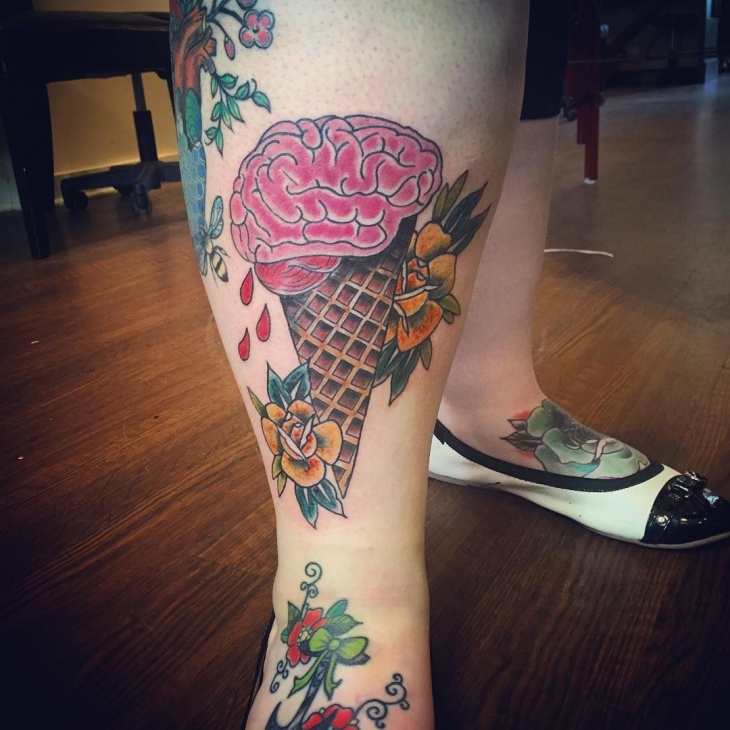 So why not embrace this idea by getting a brain tattoo on the thighs. 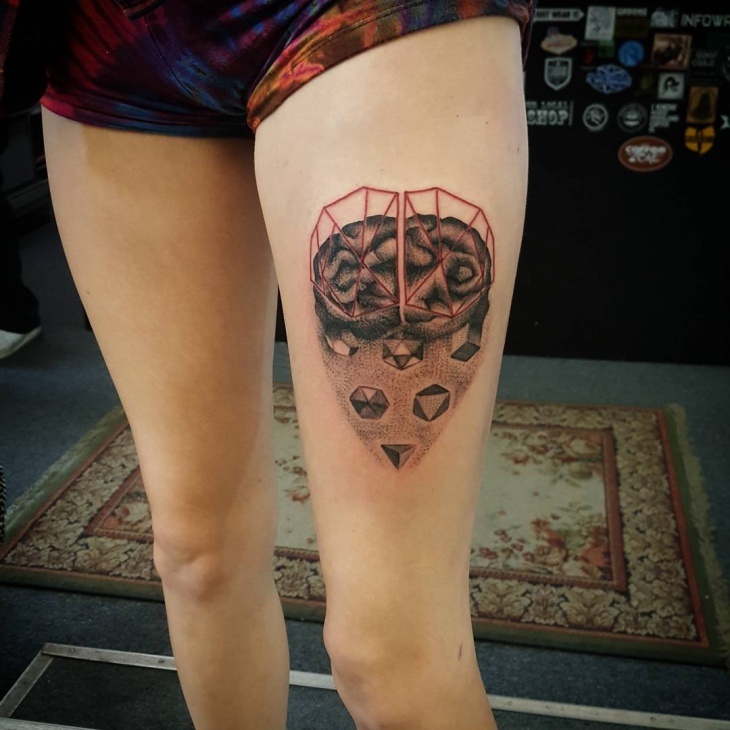 Adding geometric patterns on the design gives the brain tattoo a modern and futuristic style. 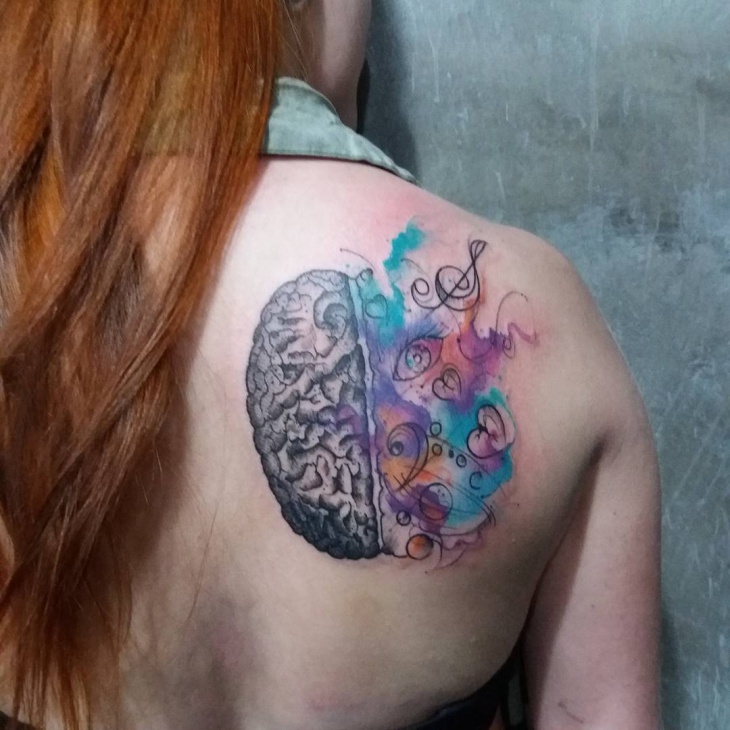 Give a fun look to your brain tattoo by incorporating watercolors. The ability to turn a simple brain design into a colorful work of art removes the creepy element and adds a fun meaning that men can appreciate. 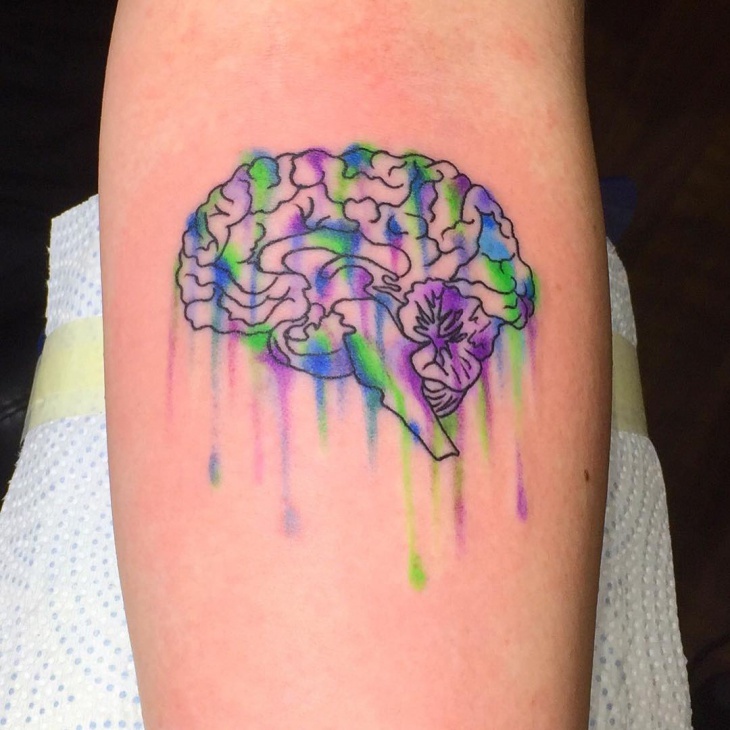 Girls are emotional creatures and what better way to represent your feelings than by opting for a colorful brain tattoo. 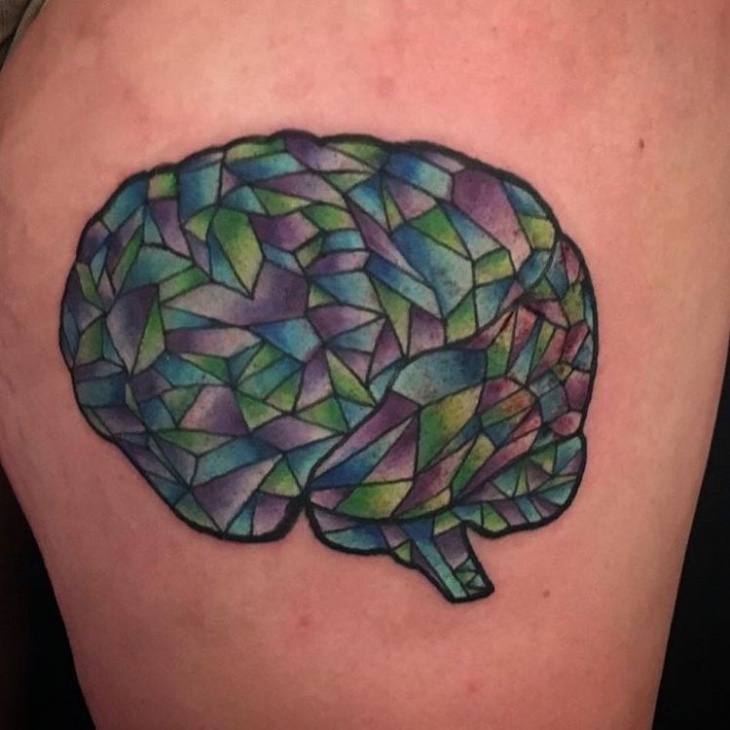 What’s unique about this design is you can shade the different sections of the brain using your favorite colors. 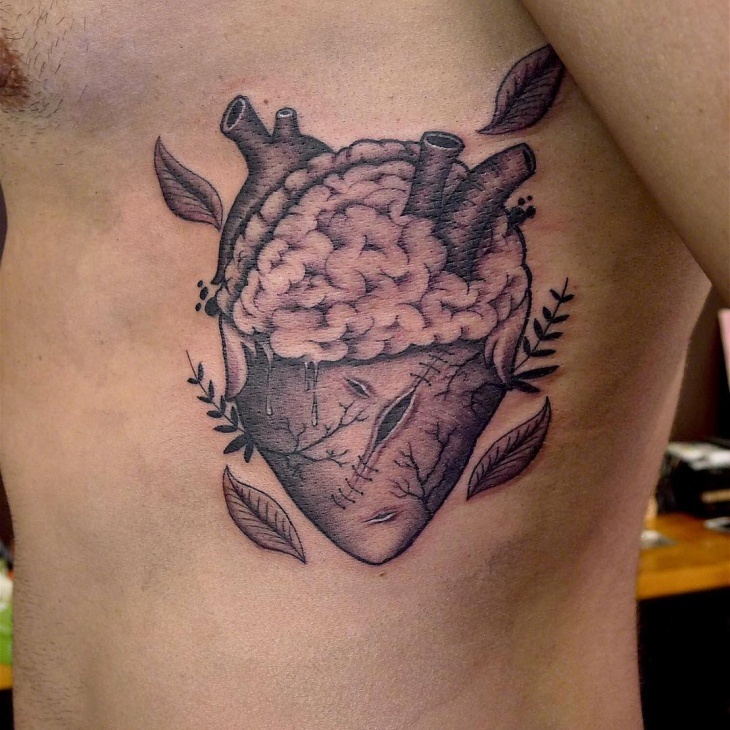 The heart and brain are important organs that are associated with decisions and intelligence. 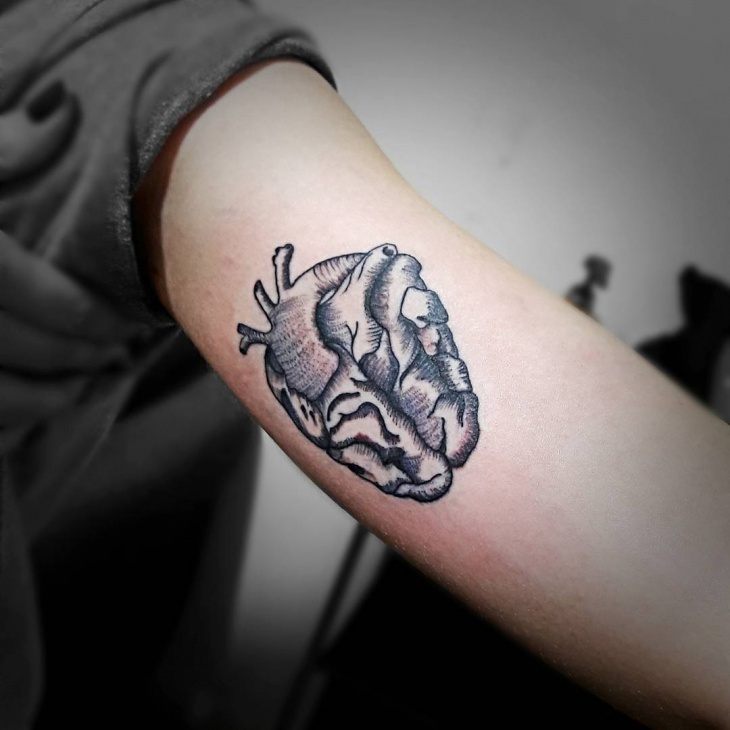 Combine a brain and heart tattoo design to describe your ability to work efficiently in a team. Ladies can go for this tattoo to reveal loyalty to their partners. 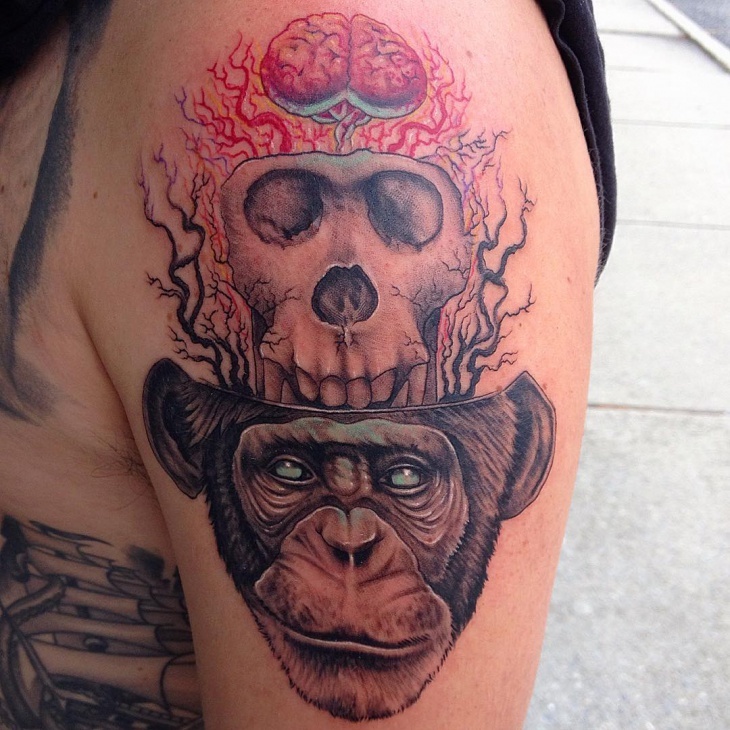 A skull and monkey with a brain tattoo depict mischief in a mysterious way. While the skull addition may portray fear or death combining it with an animal and brain design exudes creativity that is unmatched. 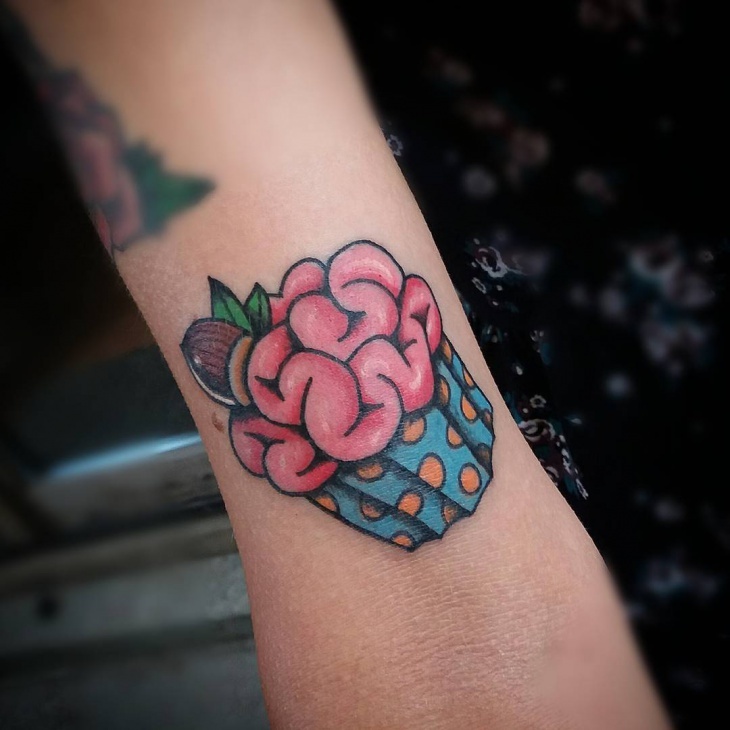 If you love bold colors and patterns, then a neon traditional brain tattoo is perfect for you. 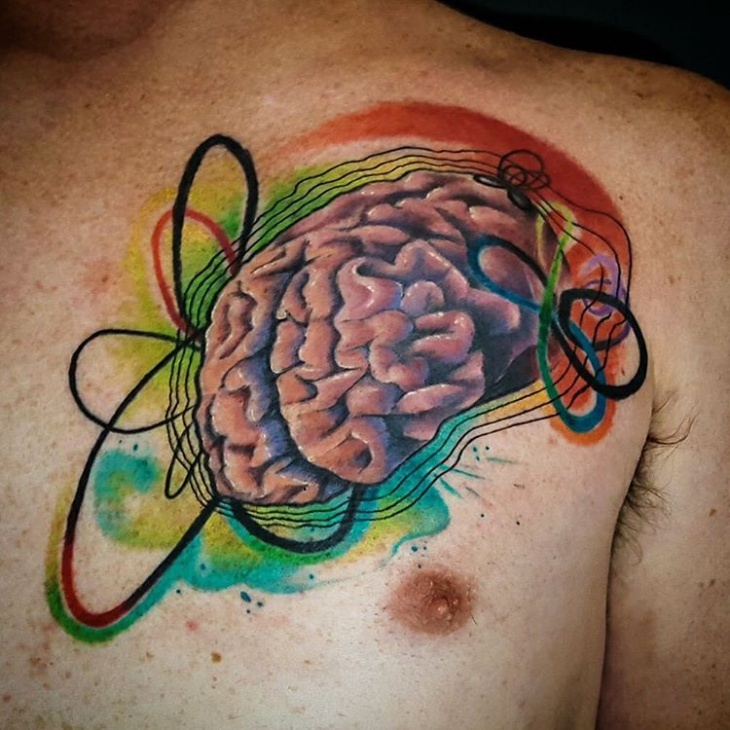 While a conventional brain tattoo is cool, you can make it more energetic by including bold colors around the design. While tattoo removal methods such as using makeup can camouflage an inked art temporarily, laser treatment and cryosurgery are some of the acknowledged practices. 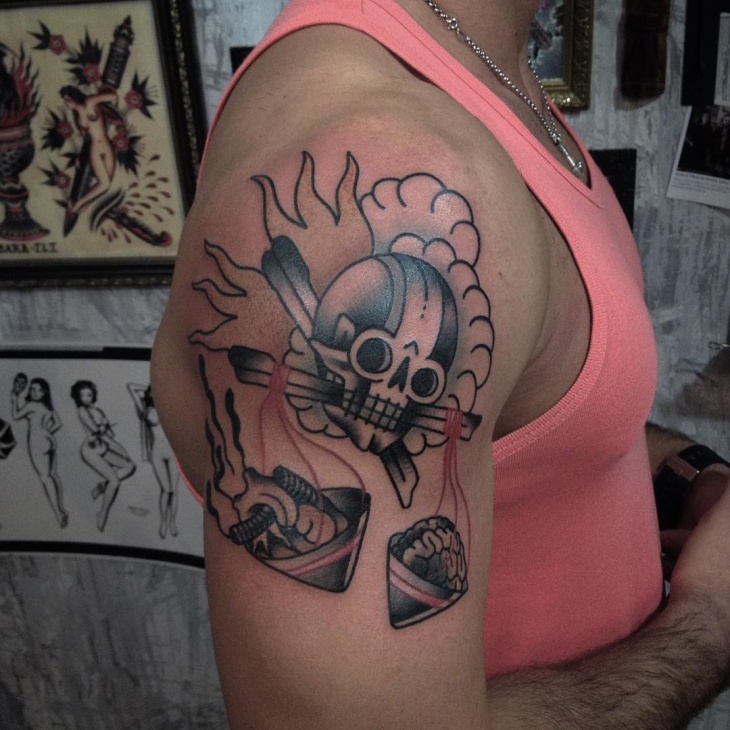 Other methods such as removing a tattoo with salt (Salabrasion) can be done considered. Whatever technique you choose make sure it is done by a certified professional. 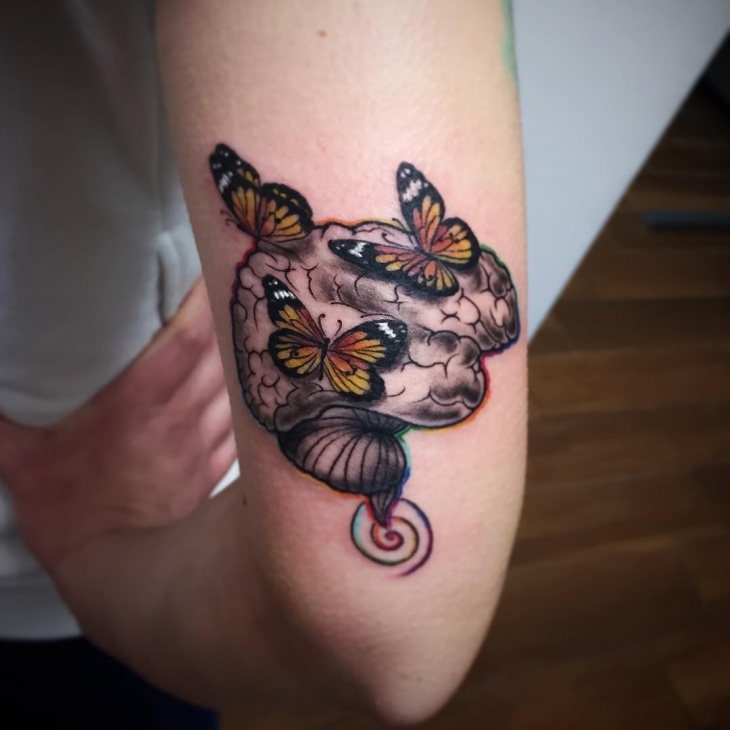 While most tattoo design for men brings out their masculine traits, incorporating neon colors will give the brain tattoo a feminine design. 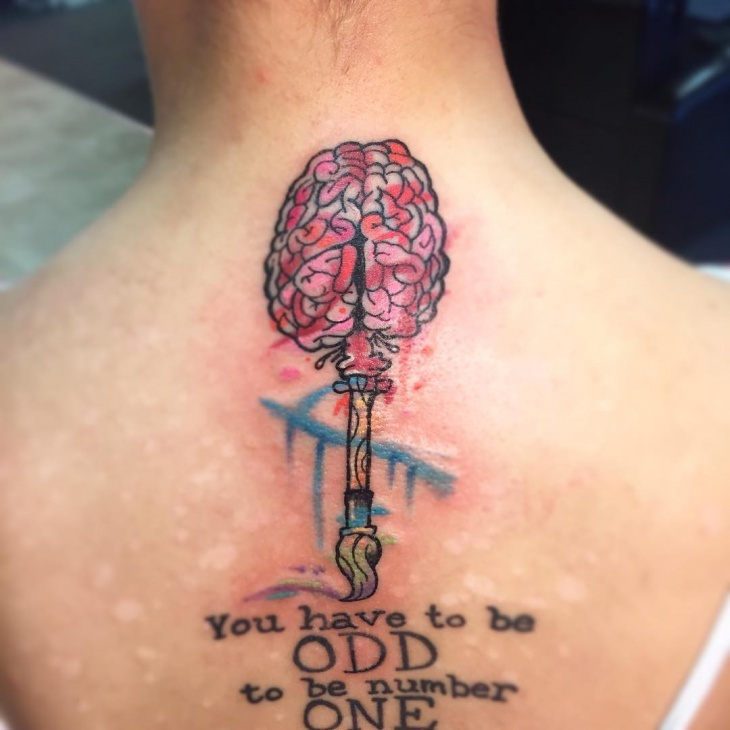 With unique meanings such as intelligence and creativity, a brain tattoo is a must have for any brainiac.